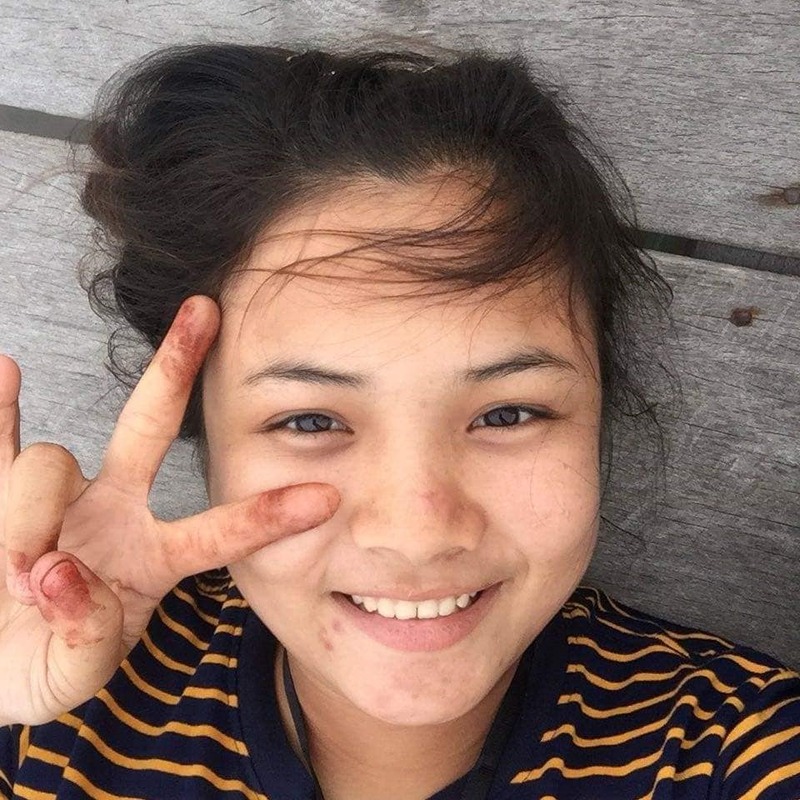 Chham Sreyleak from Cambodia shares her reflections on power and peacebuilding after participating in Sports for Social Change 2018. In Cambodia from 1975 – 1979, the Khmer Rouge killed 3 million Cambodian people including foreigners. The ambition of the president of the Khmer Rouge was to control over Cambodians to believe in the communist regime and to defeat the other side. The communist party had influenced and had power to control people’s lives, especially killing. Many killing fields that contained many dead bodies have been found after the regime was over. Their attitudes and beliefs left Cambodians fearful and with dejected memories. If most people who have power in that regime had thought about peace truly in its meaning, there would not be any of the regretful stories left behind in Cambodia. If you are living in this world, even if you have everything that you want, you may still need peace to fulfill your life. To people nowadays, some of them still are not interested in peace since they only focus on how content they would be after getting something done rather than thinking of others. The activities and attitudes of them have grown day by day in two different ways, getting better or worse. Most of their daily habits lead them to who they are so It will be more moral if they care how other people feel after they have done something to them. It is upright to understand other people inside and know what they want. When I joined one of Sarus Program in the topic of Exploring Peace Leadership through Experiencing Inter-Ethnic Exposure, I have learnt and found out how to build peace and learned how building peace provides the world sustainable developments. Many experiences in this program showed me the real things about the ethnic issue at the border of Cambodia and Vietnam. Especially, I have unlocked my questions in the previous time about conflict near the border. Sarus program has certainly taught us many ways to build peace through seeing the real issues by going to border to see what happens there. One of those ways is power relations that divide into four kinds. I prefer and am satisfied with two types of power, namely “power with” and “power within.” These are the right ways to build good relations. “Power with” is the power inside that makes us stronger and is owned by ourselves. When the “power with” of many people is combined together, we will get the “power within” to build strong relations and create new possibilities. And for the other two powers, “power over” is a kind of traditional relationship in which one person has power over another person, while “power to” is the power to control someone to do something, especially it happens between boss and employee, parents to children, old people to young people and is set by power of money, age, knowledge, etc. These both powers can lead people to feel down, unconfident and sometimes it can make pain and negative attitude to people surrounding. Obviously, when I joined the Sarus program, the group had their own different potentials to create problem solving and together we were always successful. As starting point to understand about power relations, I known such a new thing to create peace that is unnoticed by many people in Cambodia. Second is about Facilitative Listening Design that can be called as FLD. It is one of the ways that brings people non-violent communication. Moreover, practicing Facilitative Listening Design by going to meet and talk to community people about inter-ethnic issues in Cambodia without letting them to know our purpose have taught us how to avoid violence, moralistic judgement, comparison and demand in our communication skills. I understand more how words can contribute to connection or distance, know how to get answer without argument and especially how to hear others even in disagreements. This is the only communication approach that I prefer, to avoid conflict and to be in peace and love with others. I get that sometimes I have to listen as a way of going inside of their hearts to get suitable solutions for them and receive win-win strategy. Working as a team with one of the Sarus volunteer from Myanmar practicing on FLD in community, she encouraged me to ask many questions and gave strategies to get inside what people in community really need. She shared with me about bad issues in her country. Then I realized that is not only in Cambodia; it is global issue to care about. The third approach I learned for building peace is Conflict Transformation. Sharing session and working in group discussion left me more knowledge to find the best solution for every problem of human experiences. Those experiences that I have been through are about personal, cultural, and relational dimensions. Using the three “H principles” of conflict transformation which are head, hand and heart have brought me to realize how to keep away from the opposite view as getting into positive attitude. One of the principle is head which is referred as the conception of conflict, while hand is referred to underlying pattern and context. Both of these cannot go to work without the heart. I found out that learning to understand other people inside and get return back to us how we feel if we get the same problem as they do, could lead me to create peace attitude inside and in sustainable ways. The last approach for peacebuilding I learned is Conflict Analysis. We understand and can underline the roots of problem for what we have done in the previous time especially in our schools, workplaces and relationships, after getting to know how conflict analysis works. We have also done a conflict analysis about Khmer – Vietnamese relations at the border, and I found out that it was too complicated to find the roots of this problem. In conclusion, hopefully we have to care only about the present and the future; the past time is the lesson to bring us to the right way. We have to start leading peace from within ourselves, and do it today. If we try to practice the ways into peace, the country will be in peace and will develop more soon in the future. It is not only for world but for your mental health also. If your mind stays in peace, your heart will be too and you will find real happiness inside.